Entangled in German Probate Proceedings? In this post, we reveal a simple trick how to be released from the duties and obligations of being a German co-heir while still obtaining a portion of the German estate. The buzzwords are “Verpflichtung zur Ausschlagung gegen Abfindung“, i.e. contract to renounce a German inheritance against compensatory payment (make-up pay). 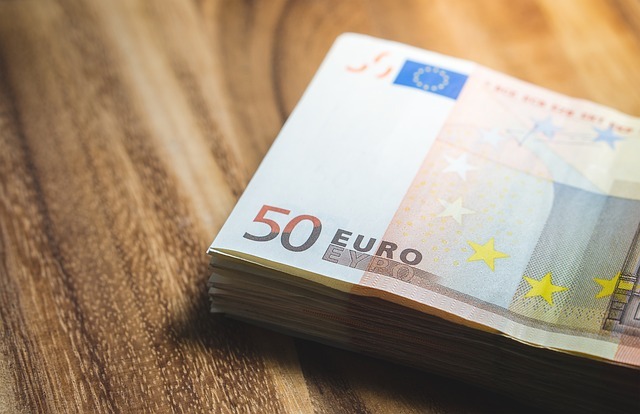 In case you have made in inheritance in Germany, either because you are mentioned as a beneficiary in someone’s will or due to German intestate succession rules, you may find yourself confronted with complicated and costly probate issues. You need to (co-)instruct a german probate lawyer to file the probate application, to submit the German IHT forms and to deal with the German estate. Then you are expected to fly to Germany to give the oath at the local probate registry. Worst case, you dislike the co-heirs and cannot come to terms with them, for instance about whether to sell the German property. If the co-heirs are smart, they will be very tempted, because this makes probate proceedings easier and there will be one less person to deal with when later distributing the estate. Under German law, such a “Vertrag über Erbausschlagung gegen Abfindung” is permitted and — surprinsingly — it does not even need to be in notarial form. While even an oral contract would be valid, such an agreement to renounce against compensation payment should obviously be made in writing. To avoid misunderstanding: the renunciation itself must then later on be made before a notary or German consular officer (see. section 1945 German Civil Code). But the agreement in which someone enters into the obligation to (later) declare the renunciation does not have to be in notarial form (OLG Munich OLGE 26, 288; Gothe MittRhNotK 1998, 193). But careful: This option is only available as long as the beneficiary who want to leave the community of German heirs has not already declared to accept the inheritance. Such acceptance can be made either by simple declaration or even by “telling behavious” (schlüssiges Verhalten), e.g. by accepting a partial payment from the estate or by taking certain assets which are part of the estate. So if you consider to leave the community of heirs against compensation, do not prematurely send out letters stating “I have inherited”. How much do I get for my share in the German estate? How much the other beneficiaries are willing to pay you to leave the community of heirs and whether the co-heirs shall have to pay that amount before you then formally declare the renunciation or vice versa can be freely negotiated between the heirs. The parties can also agree on partial payments, half at the time of signature of the renunciation obligation agreement, the other haft after the renunciation has actually been declared vis-a-vis the German probate court.The amount can even be left open if the estate needs to be professionally evaluated first. Then the parties can agree on some formula, e.g. 20% of the net estate after costs and taxes. Our firm has drafted hundreds of such agreements and will ge glad to assist. Or simply enter on the “probate” in the search box above.